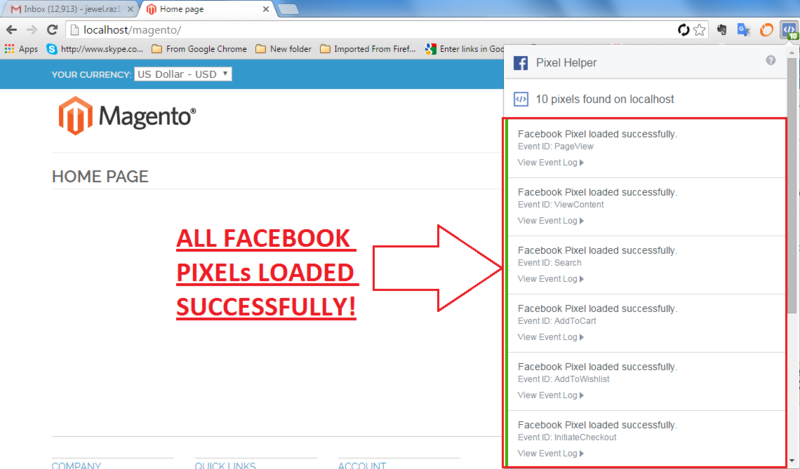 How to Add Facebook Conversion Pixel to Magento? You are here: Home / Magento / How to Add Facebook Conversion Pixel to Magento? Magento is not like Woocommerce. There are many things you need to study on Magento! Of course, it’s also applicable for WordPress but in my personal opinion, WordPress is much more friendlier than Magento. Moreover, there are tons of helpful tutorials on almost every topic on WordPress. Unfortunately, there are hardly good tutorials on Magento and it’s extensions! Well, I was trying to add Facebook’s new conversion pixel code for one of my client’s Magento site. As I never did that before, I was hoping to find one or two Magento extensions that might solve the issue. But as many of you know by now, Facebook introduced new Facebook conversion pixel code known as Facebook Pixel Code and it’s more advanced that the older one, most of the existing Magento extensions don’t support this new Facebook Pixel Code. 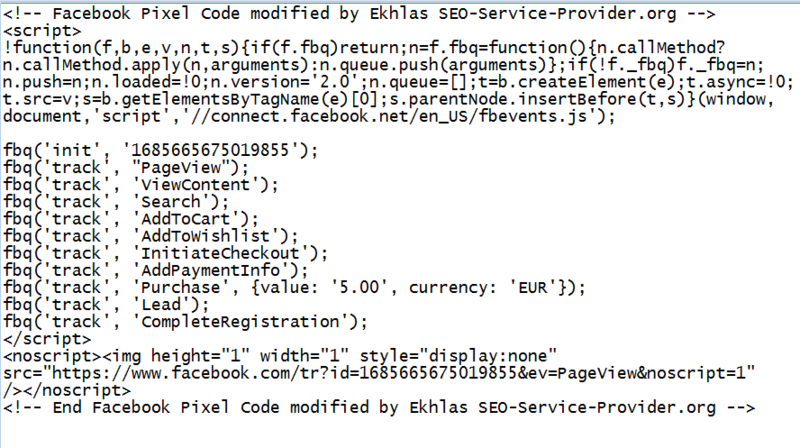 As a result, I have to find another way to add this Facebook conversion pixel code on Magento site. I found many video tutorials but none of them are (new) user friendly! They are all built for coders or developers. After checking couple of articles, I have found a clue where to add the code. 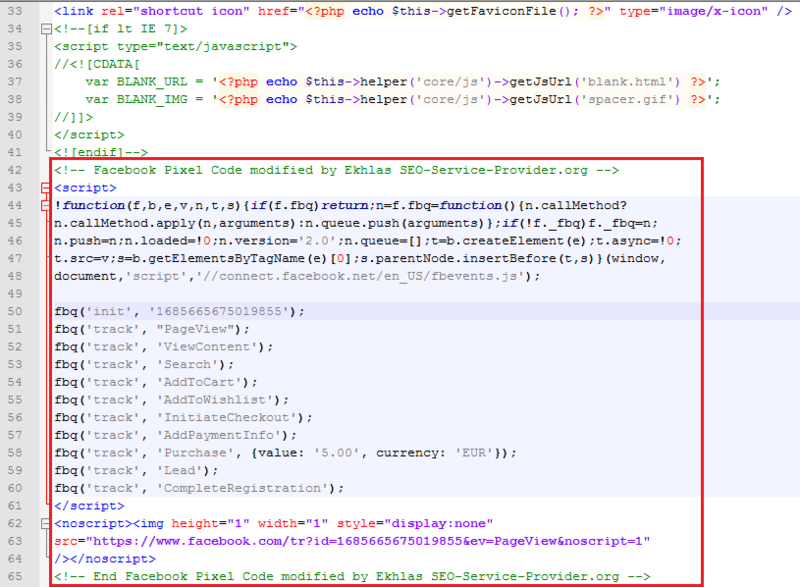 At that time, I don’t need to install a Magento extension to place Facebook Pixel Code. I can just paste the code in a file called head.phtml and it will work like a charm! head.phtml is the header file of Magento. Facebook Pixel Code will only work if you place them in the <head> section. Here is the final part. After saving head.phtml file, I need to test the site with “Facebook Pixel Helper” addon. I check it and it seems everything is in green! I love green. Green means everything is cool! As everything seems perfect, I mailed my client (cartridgeonline) the code and asked him to add the code in his site’s head.phtml file. Ekhlas Uddin Jewel is Google Adwords certified individual & SEO, SEM, SMM specialist from Bangladesh. He is the founder of SEO-Service-Provider.Org. For large SEO/Adwords project(s), please feel free to contact him. and follow every step covered there. Hopefully you will get lead and purchase data in your Facebook ad manager. At this stage, I can only see, there is no Facebook pixel set up on your site! Please insert Facebook Pixel code in both head.phtml and success.phtml (different event of course) and wait for couple of days and get back to me. What Took Us 3 Months to Write this Blog Post? How to Solve “Account Flagged for Policy Violation” Issue in Facebook?